Ken posted this nice pair of photos on Metro’s Flickr group. 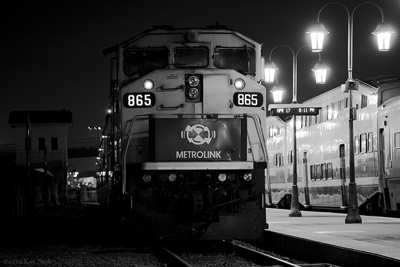 The top photo is Metrolink train 707 departing Fullerton in March on the last day of winter. The photo at right was taken at the San Bernardino station. 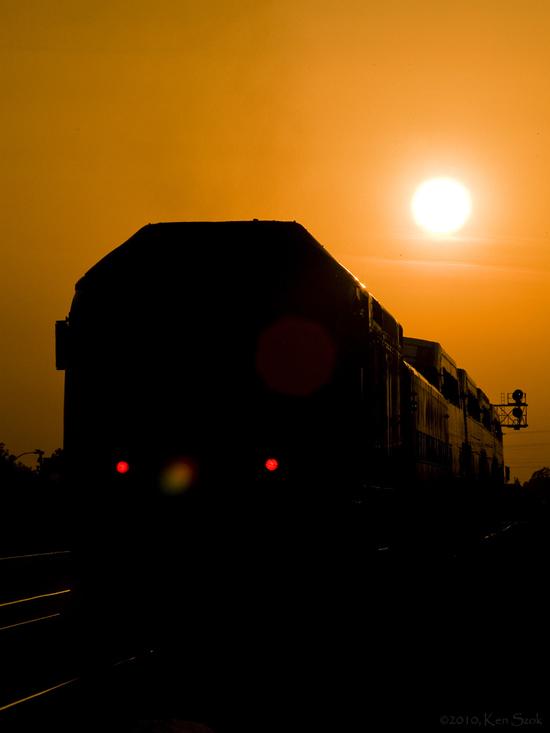 The photos were taken with a Canon EOS 5D. The sunset shot was captured with a 1/640 second shutter speed, an aperture of f/32 and ISO setting of 250 and focal length of 200 mm. The photo at right was taken by keeping the shutter open for a half-second at an aperture of f/4, an ISO of 125 and focal length of 149 mm — and the flash was turned off.